Why Learning Mindfulness Can Hurt Us - Anglia Counselling Ltd.
Mindfulness is once again, big news! This explanation, via Wikipedia, goes some way for those who are intrigued by all the talk to explaining it’s origins and variations. Read on to learn why unguided mindfulness practise can hurt! Despite being thousands of years in existence, and previously thought of as only accessible to those in Eastern cultures (ie for those with an interest in Buddhism) mindfulness has been successfully utilised in the West for decades. No religious affiliation is required and the benefits associated with practising mindfulness are now scientifically measured – with evidence of its efficacy freely available – with people benefiting the world over. 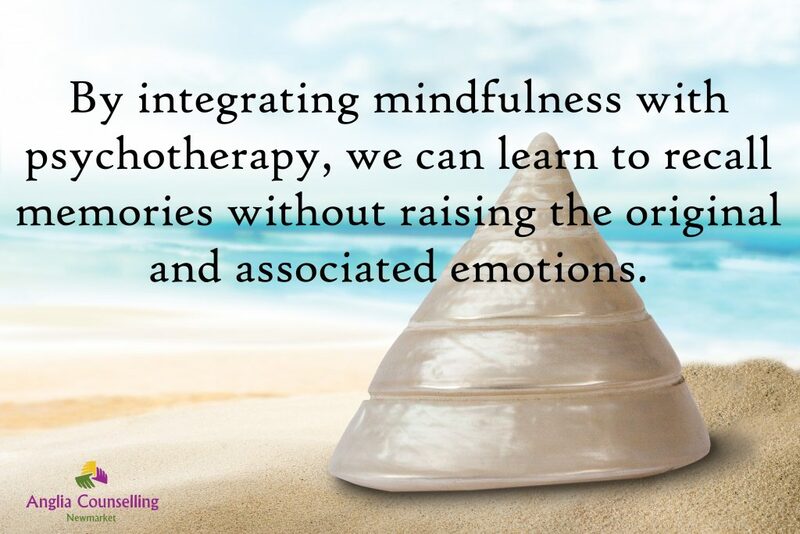 I am just one recipient of the profound effects learning mindfulness has had on my own life, so it was a no-brainer to offer it as a complement to my clients counselling sessions, where appropriate. Once we are enjoying the initial benefits of being more mindful, we create greater awareness and space for considering matters we may have repressed. Creating space for reflection is necessary if we are to process fully, the experiences that have left us with unpleasant cognitions. ‘Seeing’ those experiences with greater clarity, in sharper focus, may in itself create significant anxiety – or other emotional states. Practising mindfulness, whilst processing these less healthy cognitions, is something where the guidance and reassurance of a therapist can be invaluable to take us through to a new and sustainable strategy and change for life. If this transition from the reactionary, unthinking – or ‘mindless’ way – is created without guidance, we may give up and be left with unresolved psychological challenges. Finally, although all of the above could be written about in much greater depth, learning to live mindfully in a mindless world will test you. Having learned to be kind to yourself and to see things as they are, rather than accepting incorrect cognitions, the learning continues. We now have to learn how to operate in this frantic world – with ‘new eyes’. I recommend Mindfulness: Finding Peace in a Frantic World to many of my clients – and now YOU and if you want to begin reducing the emotions associated with negative past influences and experiences, call or write to me. Many of the blogs on this site provide examples of what mindfulness looks like in daily life. Do subscribe, share and grow your curiosity in something that can provide you with all you need for a more balanced state of mind. ← How giving up can make you a success! Emotional Wellbeing	How giving up can make you a success!